It’s easy to see the game, such as a huge six-ton elephant or a giraffe that stands five to six meters tall, not so? In order to actually see the game you need to condition your eyes to look for colour, motion and shapes. We have driven past these big animals and missed them completely – we only see them by looking in our rear-view mirror and watch them stepping into the road behind us. If large animals such as these can be missed how easy would it be to just drive past a cheetah in the long grass or a leopard in a tree without seeing them? Scan the whole area, ideally using binoculars as this magnifies your vision. 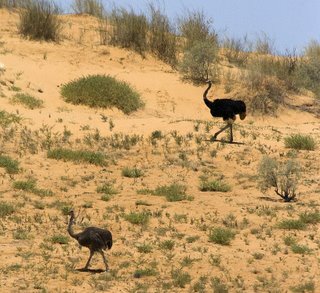 With the naked eye the area may look deserted but with binoculars you may see animals that are on their way to you. 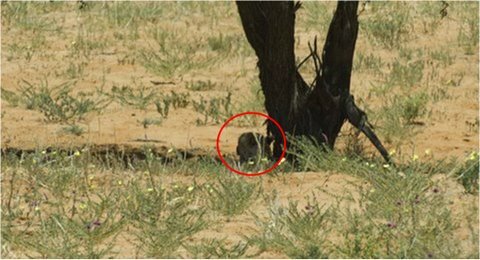 We would suggest doing a slow scan from left to right and then to focus on specific objects such as trees, rocks, dongas and other areas that could conceal animals. You should not use just your eyes but other senses as well. 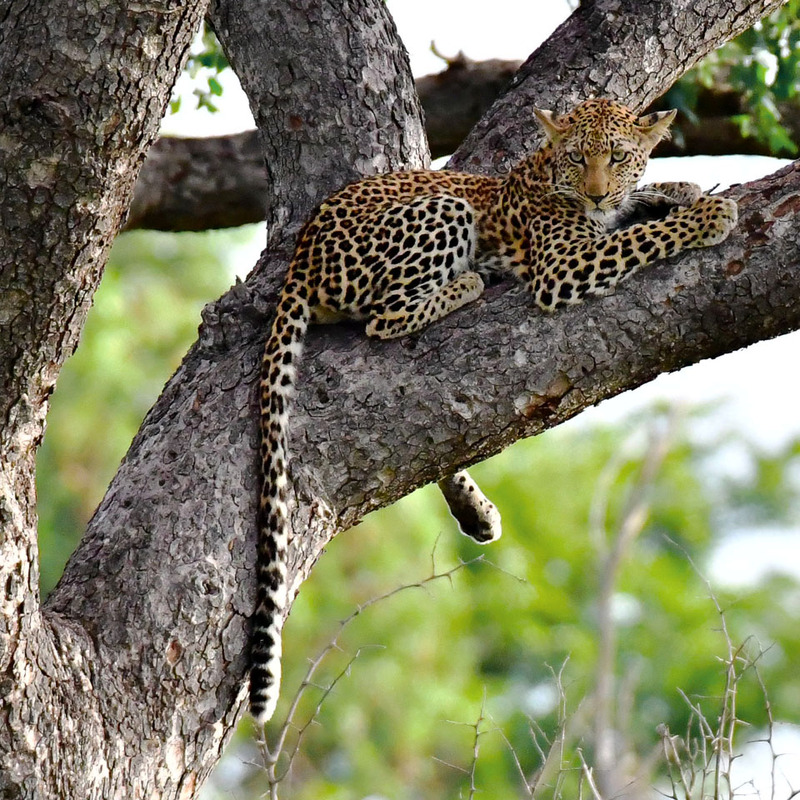 Listen for snapping twigs, rustling bushes, and of course grunts, snorts or screeches which could be warnings of approaching predators - often a squirrel, bird, impala or monkey have alerted us to a predator in the area. Smells are also a good indicator – we have often smelled hyenas or a carcass before seeing them! Flashes of colour - the tawny colour of a lion in green grass or the bright colours of a bird such as a Lilac-breasted roller. 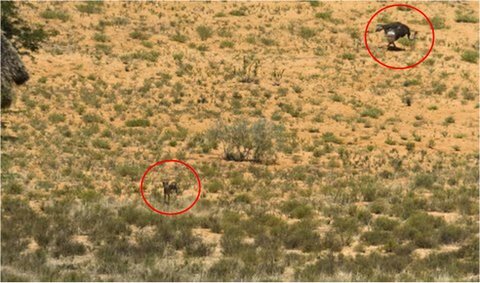 Most animals are designed to blend into their environment and their camouflage works extremely well so you need to try and look for contrasts such as a gemsbok against the red Kalahari dunes or a cheetah against the white Etosha salt pan. 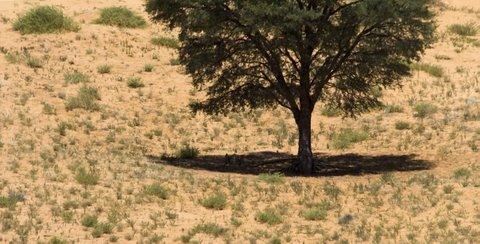 In winter, however, it will be very difficult to see lions, wild dogs or cheetahs in the grass as the grass is the same colour as the animals’ coats. You should then look for motion, such as animals running, walking, slithering, flying, or swimming. You should also look for small movements such as scratching, head shaking, ear twitching or tail swishing. Listening and smelling also apply when driving in a vehicle and obviously you should drive slowly with your car windows down in order to smell and hear best! When driving you should try and look through the bush. By doing this you don’t get mesmerized by the shapes of the bushes and trees and you are focused on looking for a different shape. We would suggest driving between 25 and 35 kilometers per hour on both tar and dirt roads as this will ensure you don't speed past an animal without seeing it. Initially Jenny caught the unusual shape under the tree plus the twitching ears out the corner of her eye and this is what you need to be on the lookout for. 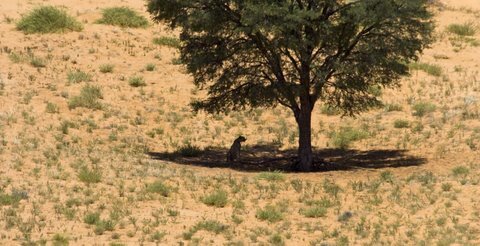 The cheetah was in shade so colour didn't come into play here. The lighting wasn’t great and there were no other animals in sight so we had to decide; move on or wait? We decided to wait. So the trick to see the game is to drive slowly and to be alert for the slightest movement, colour variation and / or unusual shapes. The slower you are going the better your chances of discovering the animals that are around you. "If leopards and cheetahs had cameras they would have plenty pictures of people - all the people that sped past them and did not see them"!